Thermometer Kit Our catering thermometer kits include a Therma 20 thermometer kit, Therma 22 kit and Thermamite kit. 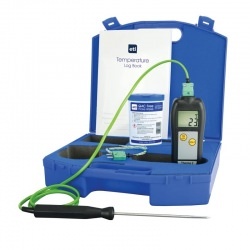 Everything you need to accurately measure temperature - whatever your catering application. All come with a traceable certificate of calibration, and are built in Britain with accuracy and reliabilty guaranteed. thermometer kits There are 4 products.